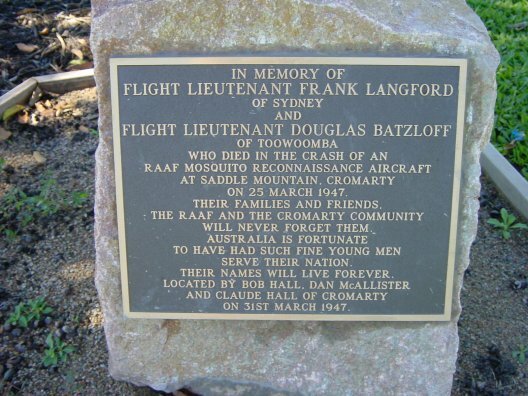 There is a memorial in Giru's Lions Brolga Park remembering the crash of this aircraft into Saddle Mountain. 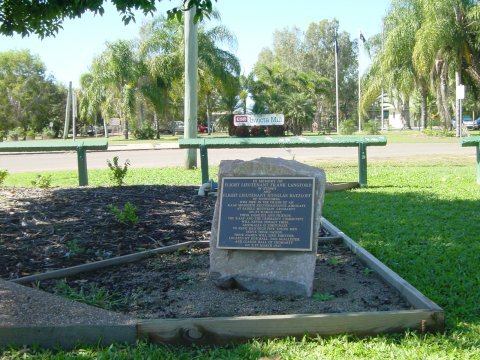 The Burdekin Shire Council has erected another memorial in the same park for the four men who died in a crash between two Hudson bombers near Giru on 24 May 1942. Peter Blatchford told me that he spoke to one of the local council workers, who knew one of the original search party members (since deceased) who told him of three flares being seen on the mountain on the day of the crash. When the crash site was reached, the co-pilot (unsure of which one this was) had crawled to a nearby stream and died some time later. This was confirmed by some photos the park ranger showed Peter. 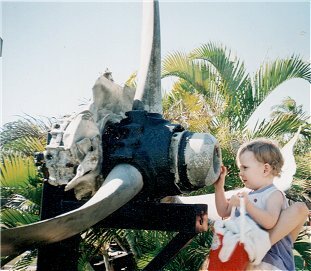 Some soldiers from Townsville walked to the crash site in 1996 and one photo shows the frame of the co-pilot's seat near the stream along with flare tape still intact after all this time. Rodney Burgess told me that the causes of this crash were apparently used as a test case of what not to do in bad weather by the civil aviation authorities for quite some time. Apparently Sid Beck has also recovered bits and pieces from the crash site. 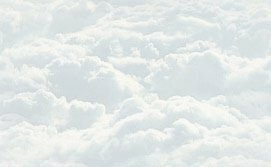 I'd like to thank Peter Blatchford and Rodney Burgess for their assistance with this home page. Rod Burgess is assisting the RAAF Townsville Museum to locate and photograph WW2 aircraft wreck sites.